"The artist is like a surgeon penetrating deep below the skin, entering his subjects, making incisions and cutting them like diamonds. Every move the model makes is an extension of his own, because he only exists when he is face to face with HER." The above is an excerpt from Serge Lutens’s new book, Berlin à Paris, containing many unpublished photographs from 1967 to 2008. Some of these are shown in the Galerie Félix Marcilhac in Paris until December 21st. Were incisions on Serge Lutens’ mind when he conceived his new fragrance La Fille de Berlin? He writes that he touched the lips of his “armed girl from Berlin” with the blood of Siegfried. The scent is said to be a tribute to his German Expressionist inspiration; with notes of rose and metal, his muse could have been Fritz Lang’s Robot Maria in Metropolis. If the metal turns into blood, she could be Wedkind’s Lulu as embodied by Louise Brooks in Pabst’s Pandora’s Box. La Fille de Berlin is in the export collection. It will be launched in February 2013 at the Palais Royal, then worldwide in March. Illustration: Louise Brooks in Pabst's Diary of a Lost Girl (1929). Have you tried it? If so, how does it fit in with other Lutensian creations? 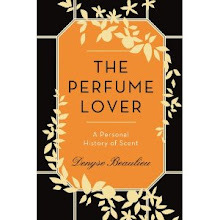 It sounds like it might have a similar vibe to Bas de Soie, my favorite of what I see as his "cold perfumes". Or is it more like one of his recent Eaux? Marla, yes, I've tried it. Nothing like the Eaux. I'm waiting to get closer to launch time to spell out more detailed impressions, I've only worn it once so far. I read Barry Paris' biography of Louise Brooks when i was 16-it made a huge impression on me. i do wonder what fragrance Louise wore. i bet this will be a fragrance unlike any other from this house. I can't wait to try it! Berlin would have been such an exiting place t be in the 20's and 30's. It will be interesting to see how the metal aspect will be incorporated. Louise Brooks famously slashed her lover's face with a bouquet of roses he had given her, over some imagined slight. She also said that if she ever bored another human being it would be with a knife. Carole, then rose and metal suit Louise Brooks just fine, don't they? Thanks for the stories. I never read that book, but saw her in Pabst's movies when I was quite young. And, yes, the Weimar republic must have been a fascinating era... provided you cleared out in time. This sounds intriguing. I'm just coming around to the Serges, via De Profundis and Bas de Soie. 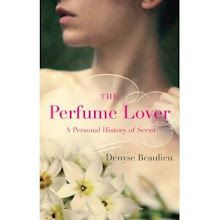 Can't wait to read your in-depth review of this, Denyse. Musette, when you mentioned De Profundis I thought of that amazing ultra-violet color: I forgot to mention that La Fille de Berlin is cherry red!